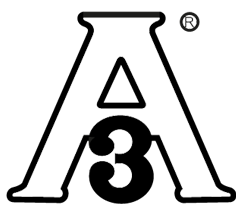 3-A® Accepted Practices cover a system, which is defined as a set of connected equipment and machinery that forms a whole or works together. In addition to the criteria for equipment, a practice may also provide specifications for sanitary installation and approved controls. 3-A criteria is universally accepted by equipment manufacturers, fabricators, users and sanitation specialist. The 3-A® Accepted Practice for Plant Environmental Air Quality, number 612-00, relates to “the good practices for a plant hygiene control”. It validates the fact that Clauger designs and manufactures air treatment applications according to the highest standards and recommendations. The 3-A® certification obtained by Clauger incorporates all connected components in the overall hygienic design of our system. Its scope covers air treatment equipment such as Thygre, Access H, Access Height or Access Dual Row. The equipment is used for installations where contamination risk control is essential for the product quality and for the sanitary risk control: ripening rooms, high-risk work rooms, fast cooling processes, bare products processing with high sensitivity etc. As part of this audit, all installation parts in contact with the air were carefully reviewed: the materials used, the filters, the coils, the textile ducts, the clean in place system (CIP), and the recommended cleaning procedures, etc. Current working methods have been thoroughly analysed: the manufacturing drawings, raw material certificates, the installation layouts, assembly drawings, detailed plans, the audit of the different production workshops, operator’s skills and qualifications as well as the careful inspection of air handling units (weld quality, etc.). This 3-A 612-00 certificate proves Clauger expertise in hygienic air treatment design. It validates the company competencies and capabilities to help food manufacturers reduce the risks of airborne contamination starting with the design of their installations through the manufacturing of air treatment equipment, until their production commences. They represent the interests of three stakeholder groups with a common commitment to promoting food safety and the public health — regulatory sanitarians, equipment fabricators and processors.